Peanut Butter is such a fun ingredient. You can put it in just about anything or mix it with anything, and it always tastes wonderful. I was reading about peanut butter a few weeks ago, and I had no idea that it’s a purely American thing. The rest of the world thinks we’re crazy because we love it so much. 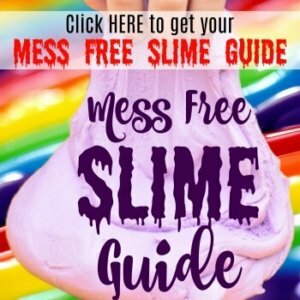 Today is the monthly Peanut Butter Bash! This time our ingredients were peanut butter and graham crackers. My immediate thought was PIE with a graham cracker crust. I came up with a delicious Peanut Butter Chocolate Chip Cookie Dough Pie. What’s better than a peanut butter pie? 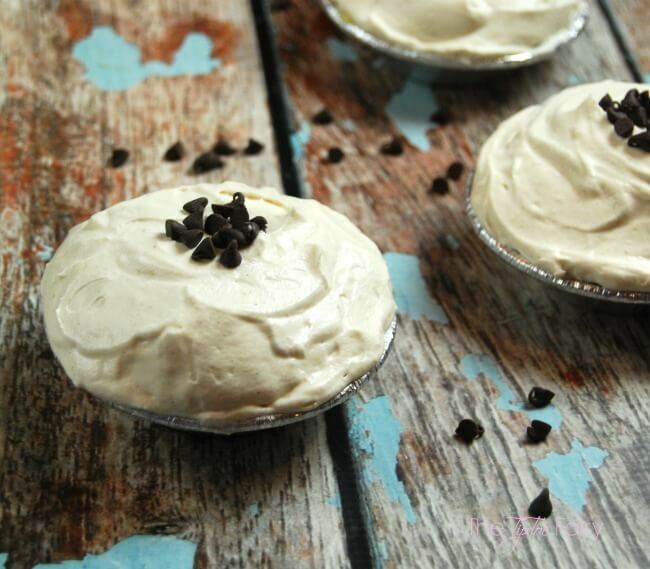 Definitely a No-Bake one you can make in less than 10 minutes! I stumbled across chocolate chip cookie dough flavored pudding mix at the store recently, and I had to buy it. It’s an instant pudding mix you can find at Walmart, and it takes just a few minutes to set up. 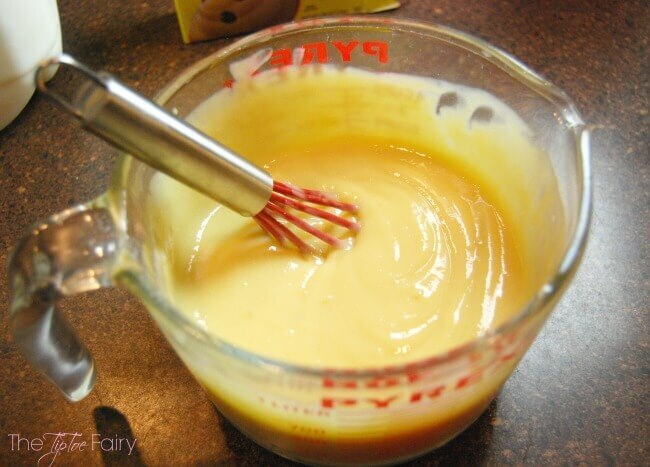 Simply add 2 cups of cold milk and whisk until it’s mixed. Then, put it in the fridge or set it aside for a couple minutes, and it thickens all by itself. I didn’t even put it in the fridge. When it’s thick, mix in some mini chocolate chip cookies. The package comes with a few, but I added about 1/2 cup of my own. You can make this in a big graham cracker crust or these little tart-sized ones. I think the brand I always see is Keebler, and it comes with 6 little ones. 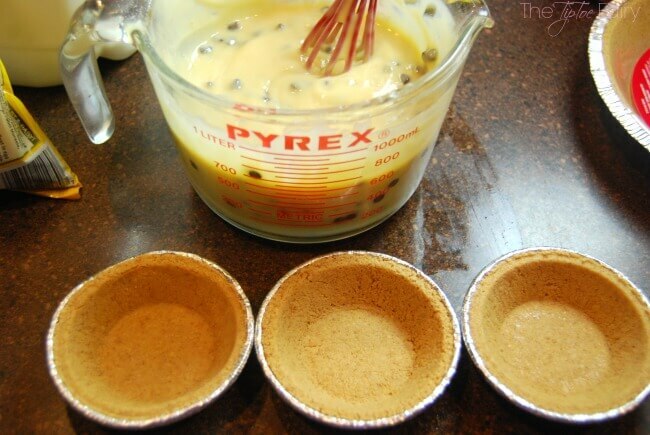 Next, you’ll just fill up each little tartlet. I just did it by the spoonfuls and eyeballed it, but it’s probably between 1/3 cup and 1/2 cup of pudding each. And, there’s plenty of pudding leftover. You could probably buy 2 sets of the little mini crusts and fill them up as well. Now, this is my favorite part. I whipped up some amazing peanut butter mousse. Oh man was this good. I was eating it by the spoonfuls. I completely made this recipe up, and it came out perfect. It’s 1/3 cup of peanut butter, 1/2 cup powdered sugar, and 2 cups of whipping cream. Just beat it in the electric mixer on high until peaks form. 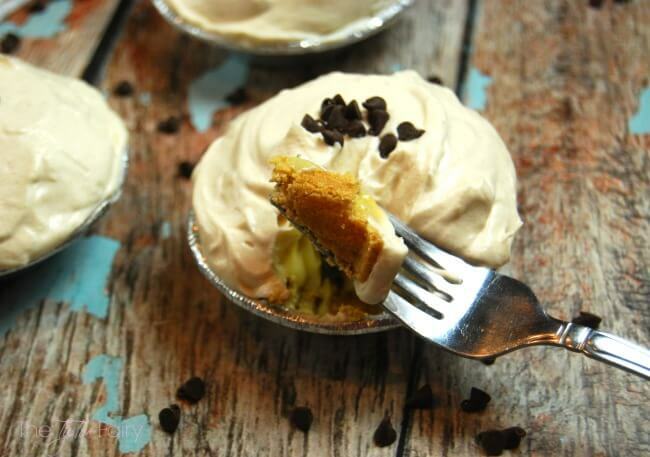 A super easy, made in minutes, chocolate chip cookie dough pudding pie topped with fresh peanut butter mousse. 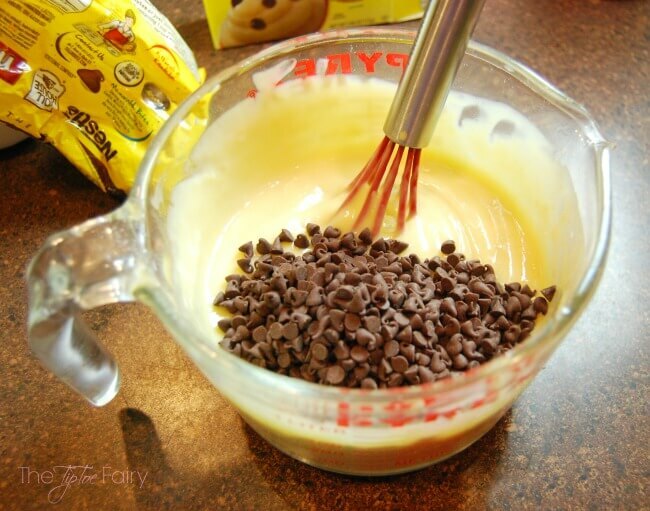 Allow it to thicken for just a few minutes, and then stir in the mini chocolate chips. Fill all 6 tarlets to the brim with the pudding. Then set aside. In an electric mixer combine whipping cream, peanut butter, and powdered sugar. 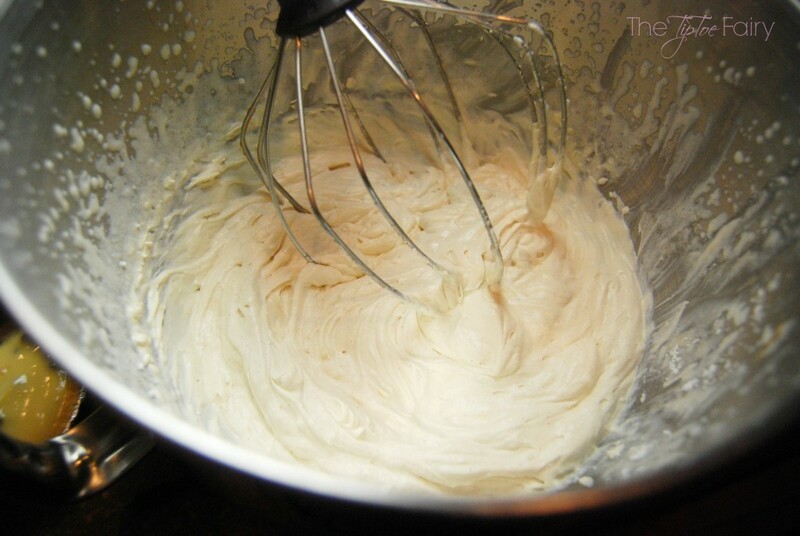 Whip until just as stiff peaks form. Spoon the peanut butter mousse over the pudding in each tartlet. 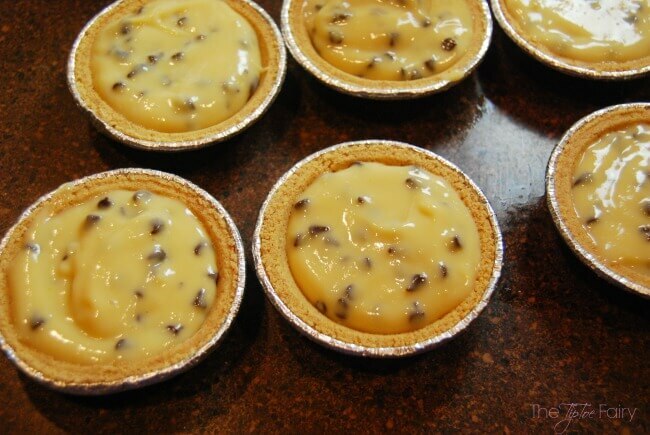 Drop a few mini chocolate chips over each tartlet. Then, serve. My little taste testers loved these. Everyone went crazy for the peanut butter mousse. Are you blogger? You can join us for the Peanut Butter Bash! 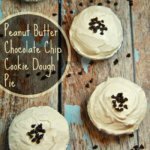 Just email at miranda@cookiedoughandovenmitt.com and request to join the Peanut Butter Bash Facebook group! The first Thursday of each month we post a dessert/sweet with peanut butter and a mystery ingredient. This month’s ingredients were peanut butter and graham crackers. Hello, love! This sounds AMAZING! I’d love to see what it looks like on the inside, too. yum!! Yumm!! That peanut butter mousse sounds great!! YUMMY! This looks so dang good! Thanks for sharing! Oh wow pour me a glass of milk! I have never heard of that kind of pudding. This looks amazing. That sounds delicious. This is just the kind of dessert I like. I definitely need to make this. Oh// Oh/// Oh I want that now…Looks so good. 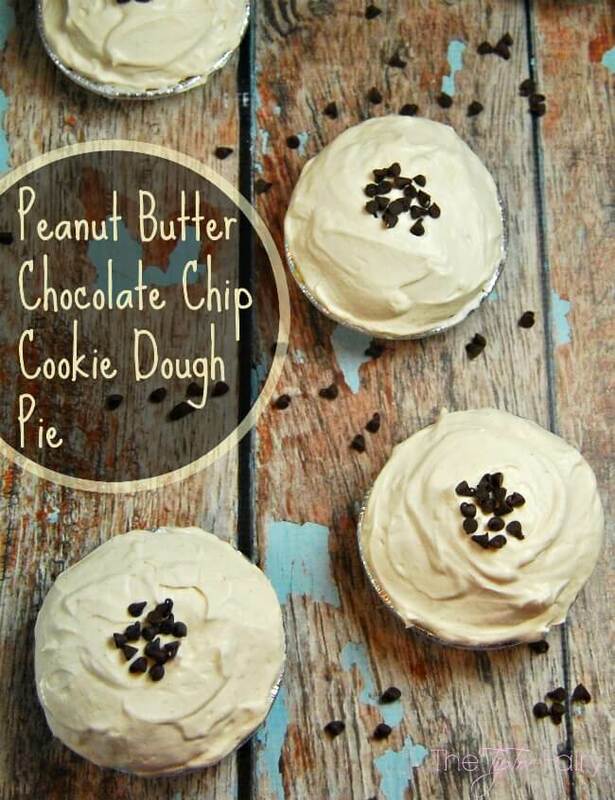 These look so yummy, a peanut butter chocolate chip cookie dough pie sounds like heaven! Yummy, this sounds delicious. I love cookie dough so I’ll have to see if they have some. I like that you added in extra chocolate chips. I might surprise my has band with a lie this weekend. This looks and sounds so amazing indeed. I love anything cookie dough and so does my sons. This may have to be dessert for Easter dinner. Thanks for sharing. You had me at peanut butter! Thanks for sharing the recipe! I am drooling just by looking at the photos, haha! 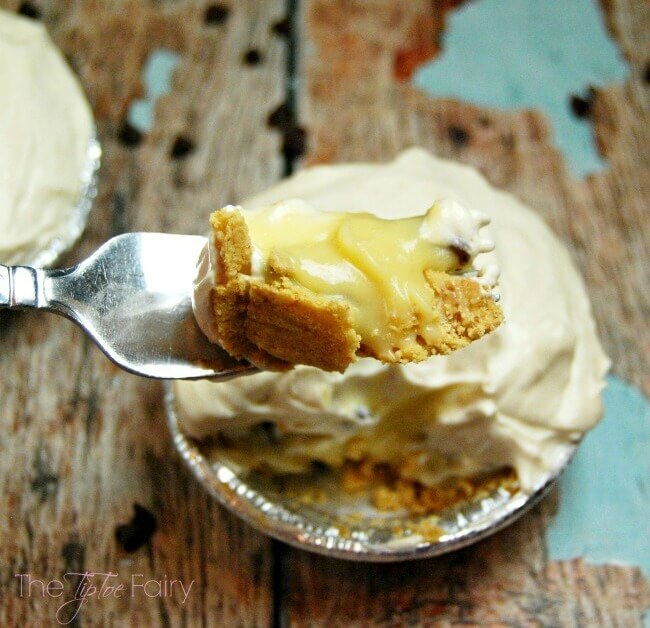 Peanut butter chocolate chip cookie dough pie! That’s a mouth full and I bet it’s delicious! I love peanut butter and chocolate so this is the perfect combo. Whoa, gotta love chocolate and peanut butter together. I’m trying to keep sugar to a minimum but this looks really good. you had me at peanutbutter! those look amazing! Holy cow! 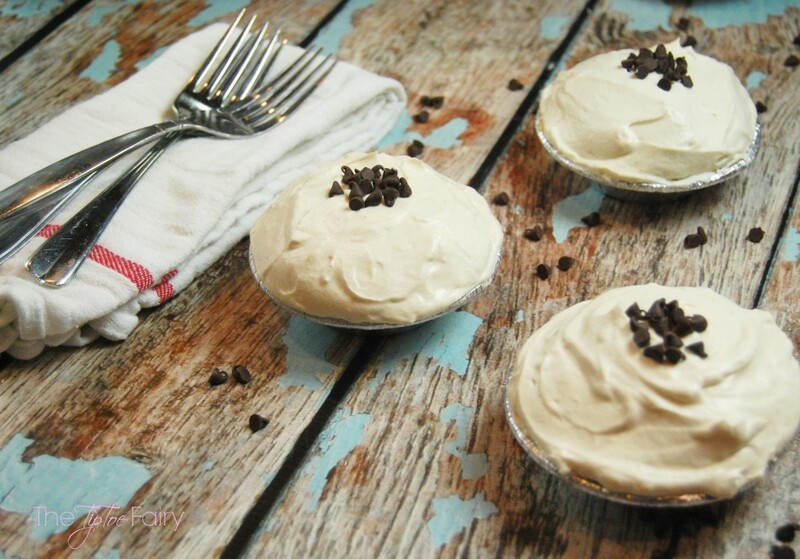 These little pies sound like heaven! I’ll be pinning this guy for later! This is just heavenly! Peanut butter and chocolate chip cookie looks good together! Very mouthwatering. This looks so yummy and easy to make! These would make perfect desserts during the hot summer!